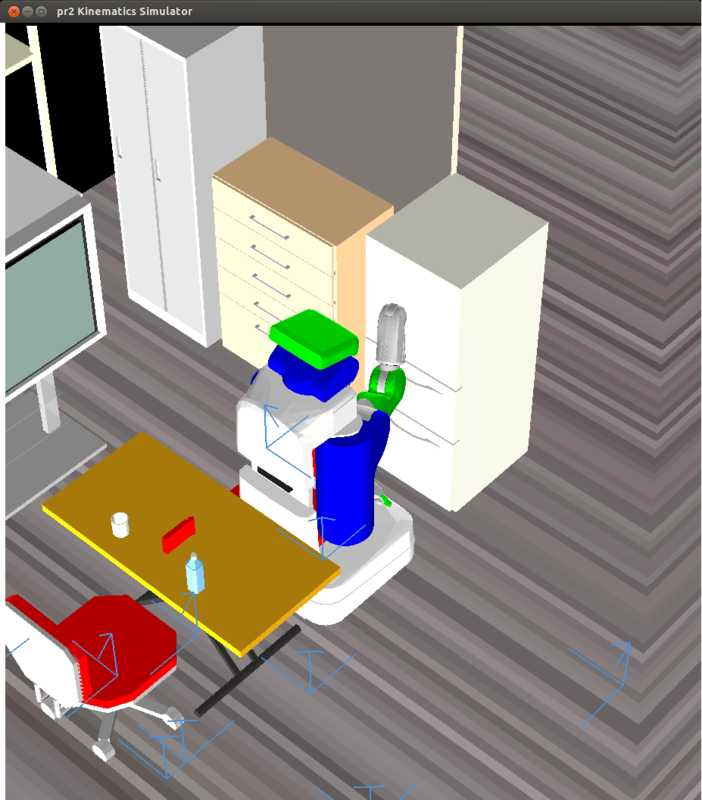 This package can be executed both on simulation and on real robot. If you want to execute on real robot, see On real robot. NOTE hydro distribution is assumed. Please replace it if you want to use on other distribution. NOTE Assumed that catkin workspace has been installed on your environment. If you don't yet have catkin workspace, please follow the instruction. 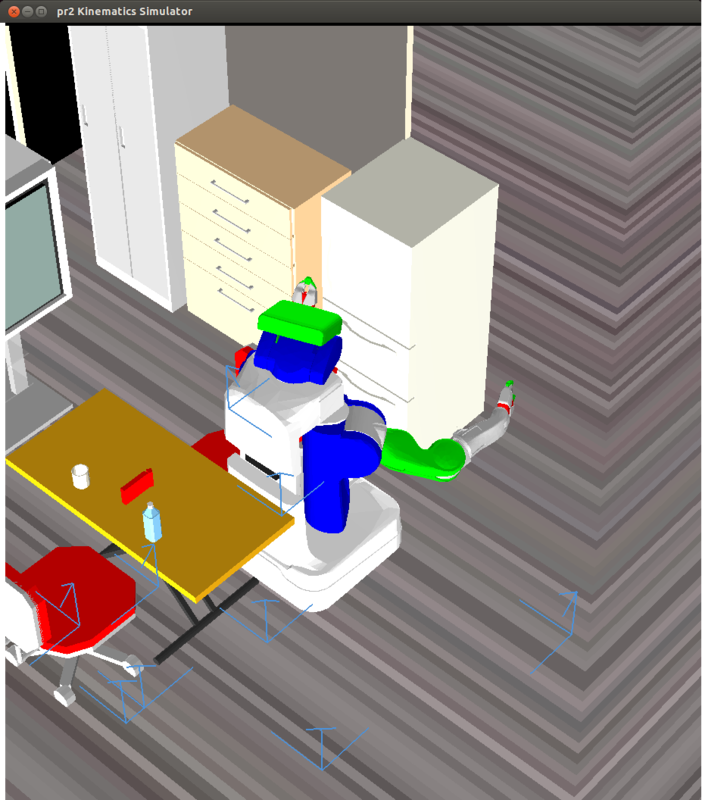 NOTE In simulation mode, the fridge front spot is referenced from models/room73b2-scene.l in euslisp package. So, Please make sure to build euslisp package. 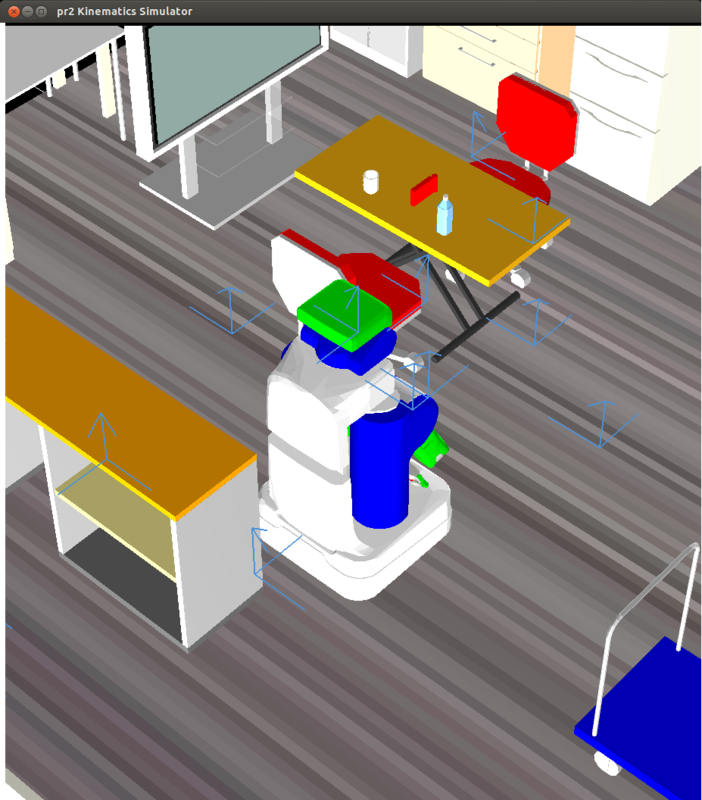 Now you will see pr2 Kinematics Simulator window, and PR2 robot on it. Then now you can execute fridge demo. 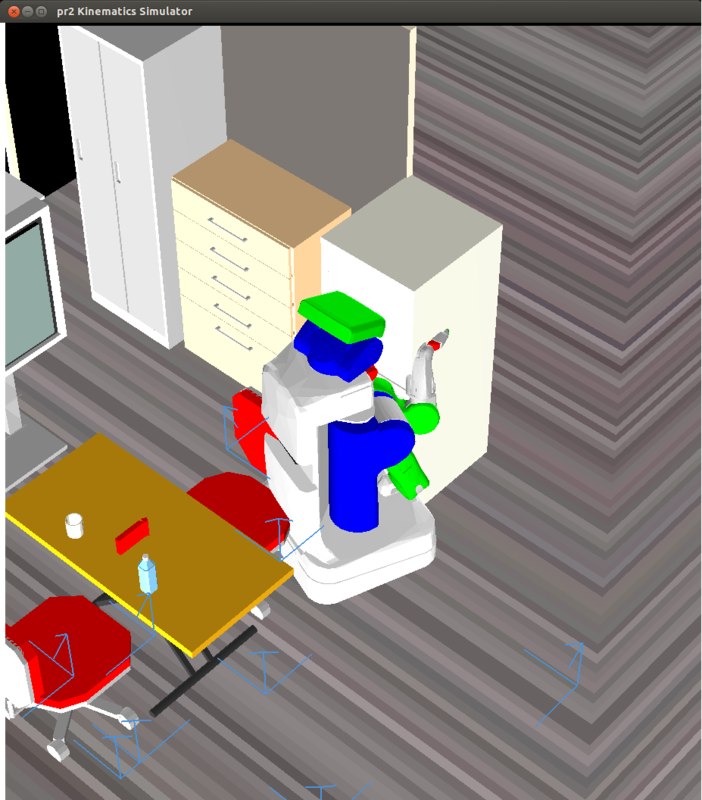 In PR2 internal pc, you can launch fridge demo with one launch file. Then you can start fridge demo from tablet.